I booked in to do a tour of HDB flats with ANZA last year but something happened (can’t remember what!) so I didn’t end up going. When they advertised the tour this year I jumped at the chance to take a peek at how the vast majority of Singaporeans live. 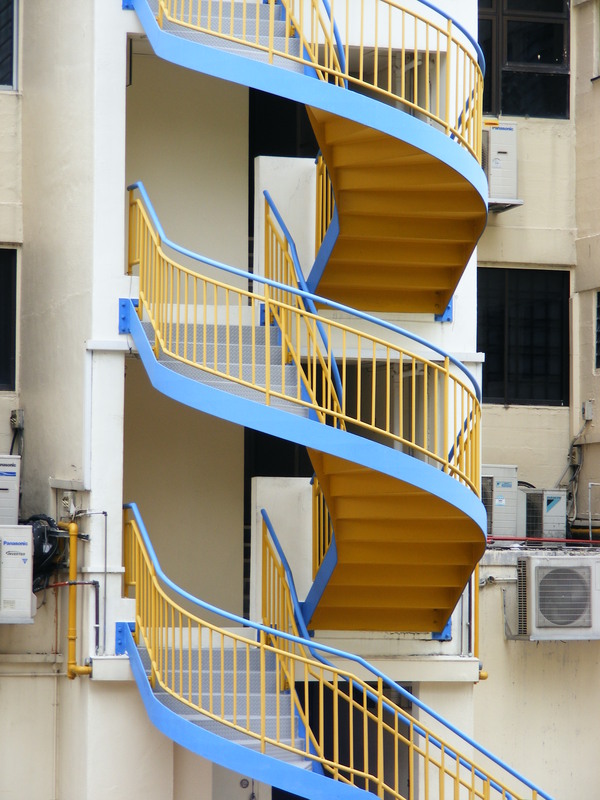 Winding stair case, Toa Payoh. there’s a $40,000 subsidy for first-time buyers. if you’re single you are going to have to wait until you’re 35 to purchase a HDB flat. 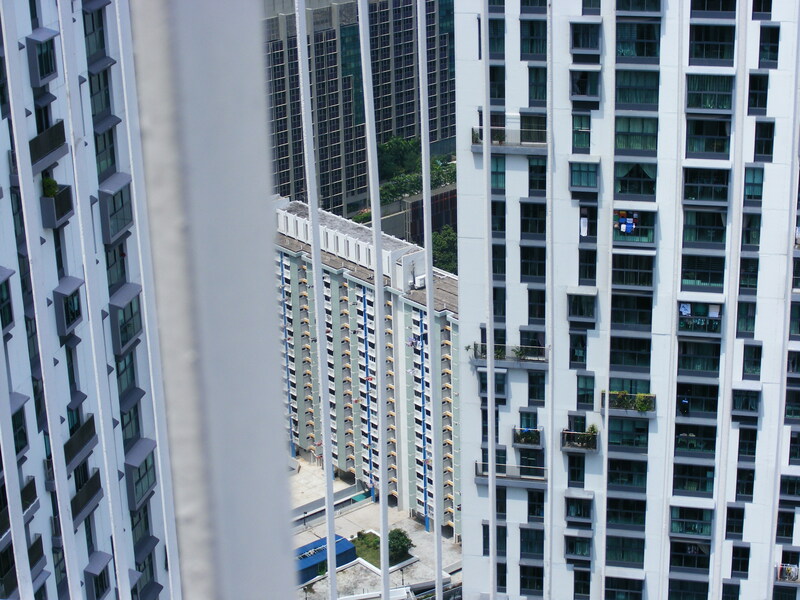 there is a balance of ethnicities in every HDB area. If a person of Chinese descent wants to buy your flat but the Chinese quota is already full in your area you’ll have to find a “minority” buyer. you can’t sell a HDB flat until you’ve owned it for 5 years. originally the flats had no lifts, or lifts that only stopped at every 3rd floor. after WW2 Singapore was labelled by the British as having some of the worst slums in the world and this prompted them to build public housing. there’s a HDB museum inside the HDB Hub building at Toa Payoh. An old style HDB building framed bby two towers of the Pinnacles at Duxton. The tour guide was one of Singapore’s best and she is very knowledgeable, however I really would have liked to see inside a real HDB. logistics and privacy to do this would be tricky but it would have made the tour more meaningful. Whilst we did visit the show flats at the HDB Hub I would suggest that they look very different to the way real flats do, just the way show homes in Australia look very different to real houses! The tour finished up at Pinnacles at Duxton, the award-winning colossal HDB. The view from the sky garden is excellent and much cheaper than the other sky garden at Marina Bay Sands!